A sure sign of a successful relationship is repeat business. Over the years Daren Construction has developed strong relationships with many clients. 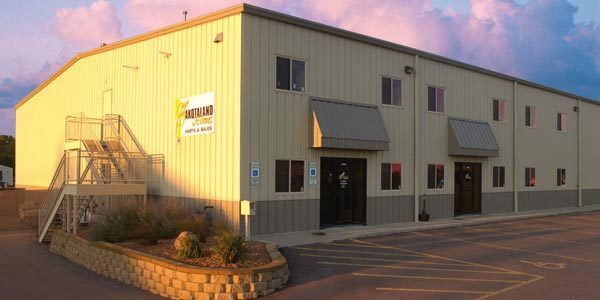 Over a 20 year period, Daren Construction has completed more than 20 buildings for Soukup, Ltd. Carl Soukup sums it up, "They’re honest, reliable and provide excellent follow-up and service." 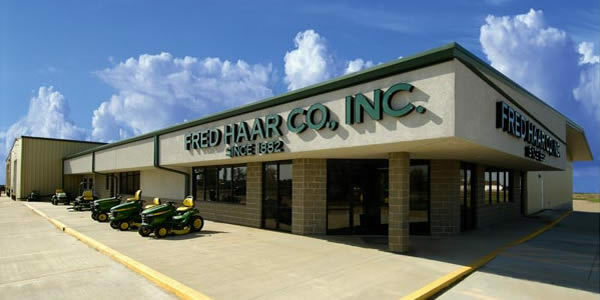 Since 1979, we have built a reputation for constructing strong buildings and building strong relationships with our customers and building partners. This experience is the key to understanding each clients unique needs and planning for a successful building project. 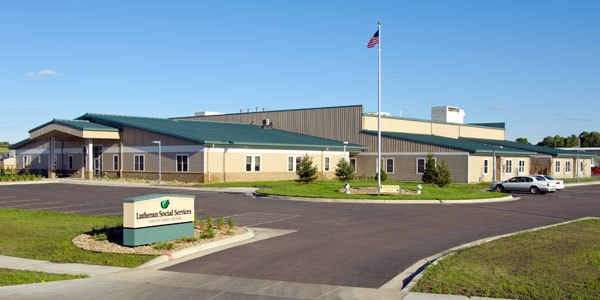 The Lutheran Social Services building offers versatility of design, and includes a gym, dormitories and abundant office space. 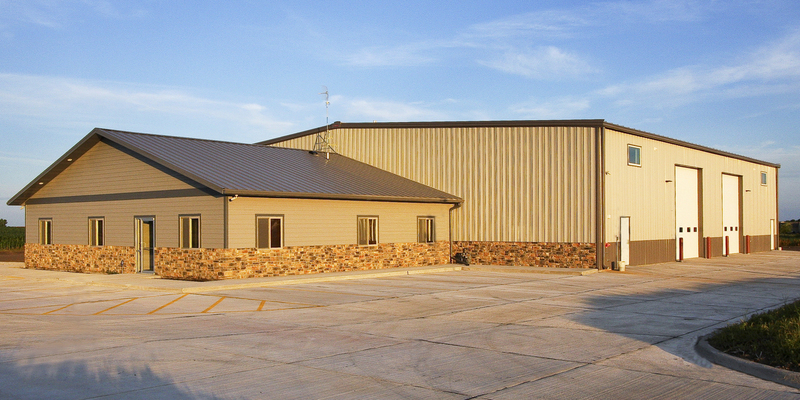 The building also features a standing seam evergreen roof. 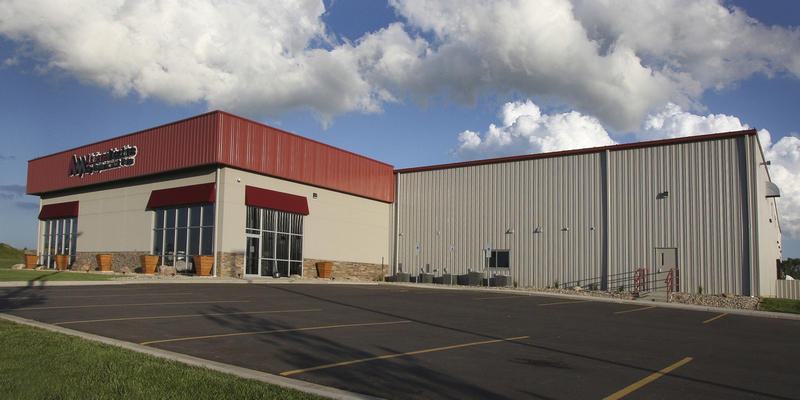 The Novak Sanitary building combines Drive-It stucco and brick for a beautiful exterior. 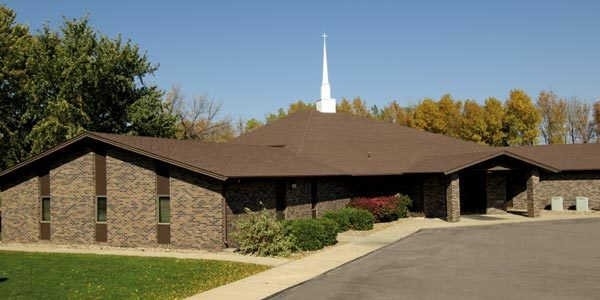 Built in 1988, Calvary Reformed is one of our first church projects, featuring distinctive wood frame construction. 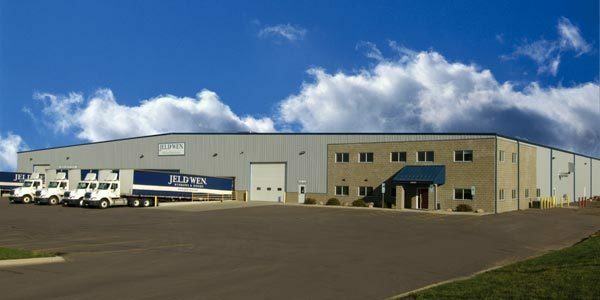 JELD WEN manufactures doors and windows. 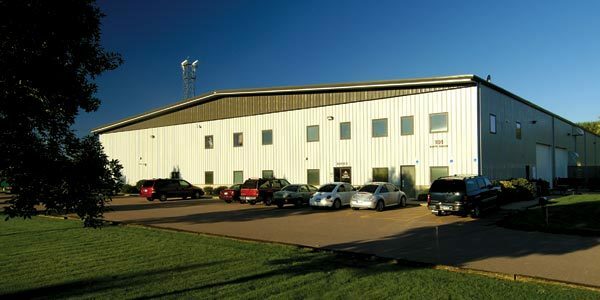 Their plants in Sioux Falls SD (98,000 sq. ft.) and Cheyenne WY (130,000 sq. ft.) needed to be highly functional and good-looking. 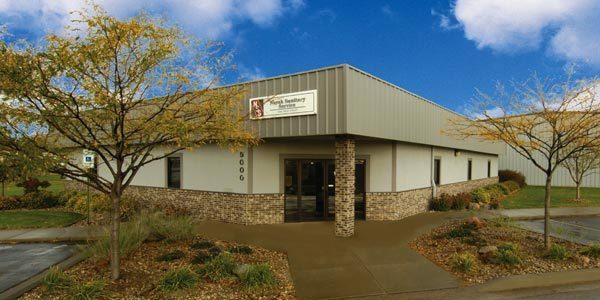 We constructed both facilities. 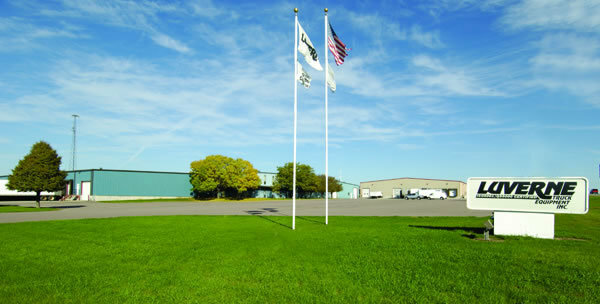 The Cheyenne, WY facility features 50’ long bays. By the way - we can erect buildings throughout the country. The Lloyd Properties building features a 4-12 pitched evergreen roof to give it a nice vaulted look. 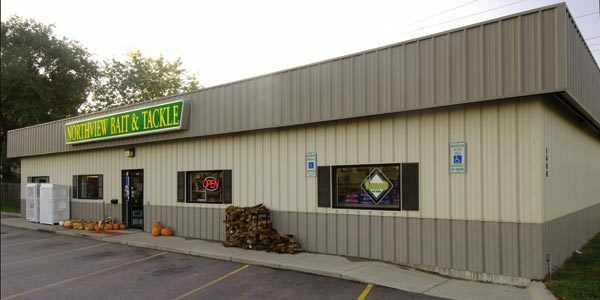 Northview Bait and Tackle with attractive wainscoting and matching façade. The interior has a highly efficient insulation system, with R-30 in the side walls and R-32 in the roof. 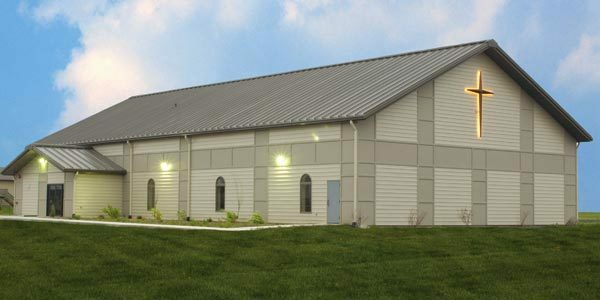 Another of our church projects, First Baptist in Parker, SD boasts wood frame construction and an elegant vaulting roof. 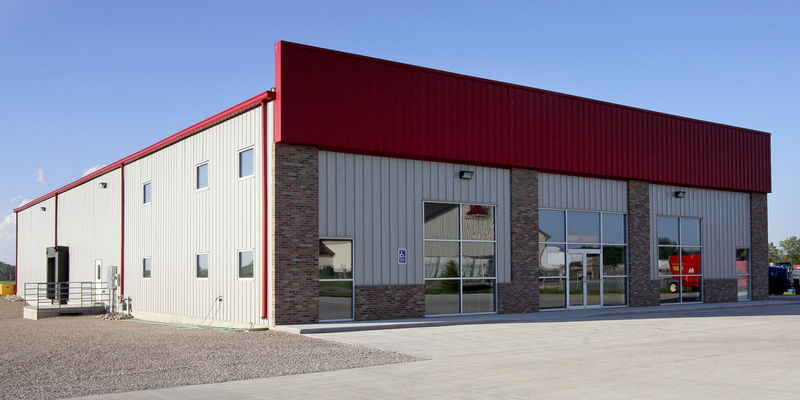 The 150’ clear span rafter Carlson building is designed for ease of loading trucks and drive through access. 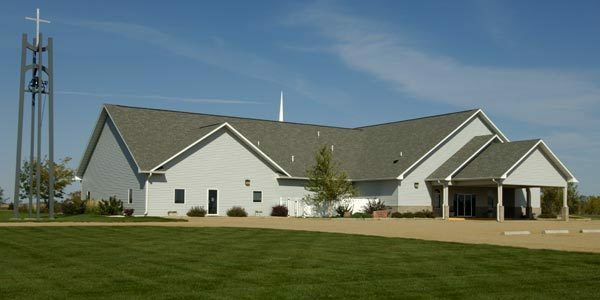 The Living Hope Church in Tea, SD features a 6-12 pitched roof with vaulted sanctuary. The interior offers perforated panels to absorb sound. Living Hope plans on someday converting the structure to a gymnasium. 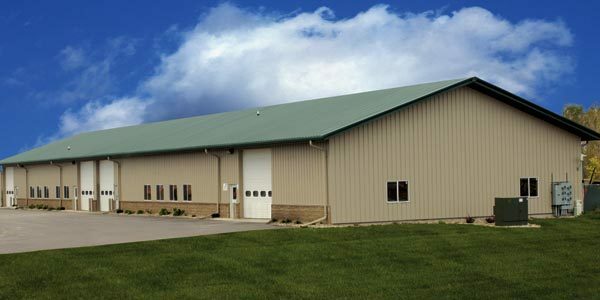 Our pre-engineered building gives them that flexibility. Another of our pre-engineered buildings, with canopies over the doors and handsome wainscoting.